To any rock fan this band does not need an introduction. The band has gone through a drastic line-up change recently and have just released a new record titled “Human” on the 31st of March 2015. Three Days Grace is a Canadian rock band formed in Norwood, Ontario in 1992. Originally the band was called Groundswell and they suffered a breakup in late 1995, when Phil Crowe and Joe Grant decided to leave. Most of the band members were attending High School when the band was originally formed. Groundswell released one full-length album “Wave of Popular Feeling”. The band regrouped in 1997 under their current name, the line-up consisting of guitarist and lead singer Adam Gontier, drummer and backing-vocalist Neil Sanderson and bassist Brad Walst. In 2003, Barry Stock joined the band as their lead guitarist. Adam Gontier explained the meaning behind the name of the band as a sense of urgency and the concept of changing something in one’s life if you only had three days to do so. In Toronto the band became acquainted with local producer Gavin Brown. TDG offered up years of material to the producer and he chose what Adam describes as “the golden nuggets” to work with. Through teamwork TDG and Gavin polished the songs into a demo album which they gave to EMI Music Publishing Canada. The record label wanted to hear some more material and the band created the song “I Hate Everything About You” which attracted the attention of several record labels. The band was sought out by Jive Records’ President and was soon signed to the label. After TDG signed to Jive Records, they moved to Long View Farm, a studio in North Brookfield, Massachusetts to record their debut album. They completed the self-titled album in Woodstock, New York and the album was released on the 22nd of July 2003. It was met with mixed to favourable reviews. To support the album TDG released its first single “I Hate Everything About You”, the song which ultimately lead to the band being signed. The song received heavy airplay and became a widely recognizable song becoming the band’s “breakout hit”. After Barry Stock joined the band in late 2003, TDG toured extensively for nearly two years in support of their major label debut release. The album peaked at number 9 on the Canadian Albums Chart, number 69 on the Billboard 200, certified in the US by RIAA in December 2004 and double platinum in Canada by the CRIA. Two more singles from the band’s debut album released namely “Just Like You” and “Home”. Adam Gontier started developing an addiction to the prescription narcotic analgesic OxyContin. After the band finished their tour in support of their first album they knew they could not continue considering the condition in which Adam was in. In 2005 with the support of his family, friends and band members Adam checked into the Centre for Addiction and Mental Health (CAMH). While in treatment Adam continued to write songs documenting his feelings and emotions. Adam Gontier successfully completed his rehab program at CAMH. The band found a suitable place in the form of a cottage in Northern Ontario where they could experiment, practice and write new material. After three months at the cottage, they had almost wrapped up writing on their second album. The first single from their second album titled “One-X” , called “Animal I Have Become” Adam wrote while getting sober. There are four more songs from the second album that found their origins in the same way, namely “Over and Over”, “Gone Forever”, “Pain” and “Never Too Late”. According to an interview conducted in 2006 with Adam Gontier he said that the second album was much more personal to him because the material originated from his experiences with despondence, drug abuse, and rehab which summed up the past two years of his life. One-X was released on the 13th of June 2006. Adam performed live at various rehabilitation centres as a “thank-you” gesture to the people who helped him get through his addiction and to serve as an inspiration to others. These performances were solo-acoustic performances called the “Three Days to Change” tour and it took place during the same time when the band was touring in support of their second album. In November 2006 Adam performed with the band at CAMH in Toronto where he went for his own rehab. The audience of about 250 people, included patients, radio contest winners, family and friends of the band and representatives from the band’s label. One-X received mostly positive reviews with reviewers commenting that they could do more to set themselves apart from their peers. One-X peaked at number 2 on the Canadian album chart. and at number 5 on the Billboard 200, selling 78, 000 copies in the US in its first week of release. Its first single “Animal I Have Become” was the band’s most successful song, becoming 2006’s most played rock song in Canada. The album helped Three Days Grace to become the number one rock artist in airplay in the US and Canada in 2007 with Billboard ranking them as the number one rock artist of 2007. One-X was certified platinum by the RIAA in the US on the 30th of August 2007 and double platinum by the CRIA in Canada in July 2007. Three Days Grace toured the US and Canada throughout the second half of 2006 and 2007 in support of One-X. In early 2008, they toured with Seether and Breaking Benjamin across the US. From March to August 2008 and again from January to April 2009, Three Days Grace recorded their third album at The Warehouse Studio in Vancouver, British Columbia and Los Angeles with producer Howard Benson who contributed to their earlier releases. The album titled “Life Starts Now” released on the 22nd of September 2009. According to guitarist Barry Stock the theme of the album centered around “a fresh start” and a more optimistic approach. The album debuted at number 3 on the Billboard 200 chart, the band’s highest chart position and sold 79, 000 copies in its first week. The album was met with mixed reviews. The first single from the album called “Break” was released on the 1st of September 2009. Three Days Grace embarked on a 20 date Canadian tour that lasted from November to December 2009. They co-headlined a tour of the US from January to February 2010 with Breaking Benjamin and Flyleaf. Three Days Grace headlined a US tour with support from Chevelle and Adelitas Way from March to April 2010. 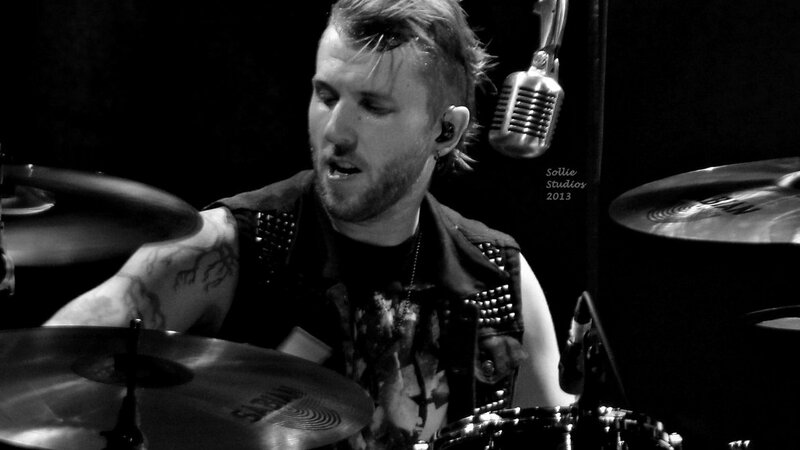 The band joined Nickelback and Buckcherry on the Dark Horse Fall 2010 tour. In March of 2011 the band toured with My Darkest Days and later joined Avenged Sevenfold on their “Welcome To The Family” tour in 2011. RCA Music Group announced on the 7th of October 2011 that it was disbanding Jive Records along with Arista Records and J Records moving all the artists signed to these labels to the RCA Records brand which included Three Days Grace. On the 5th of June 2012 TDG announced that their fourth studio album “Transit of Venus” was expected to drop on the second of October 2012. The first single from the album was called “Chalk Outline” and it released on the 14th of August. 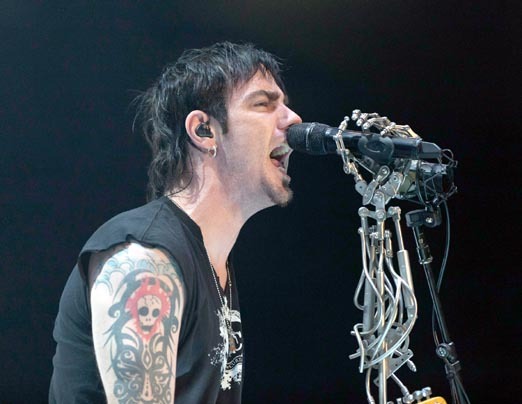 On the 9th of January 2013 it was announced, citing health issues that Adam Gontier was retiring from the band. 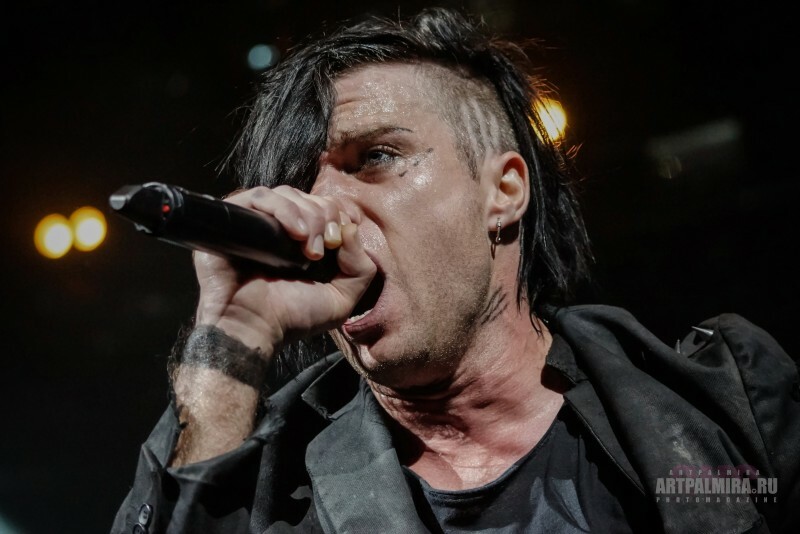 Brad Walst’s brother Matt Walst (My Darkest Days) would act as the replacement as lead vocalist for the upcoming tour. 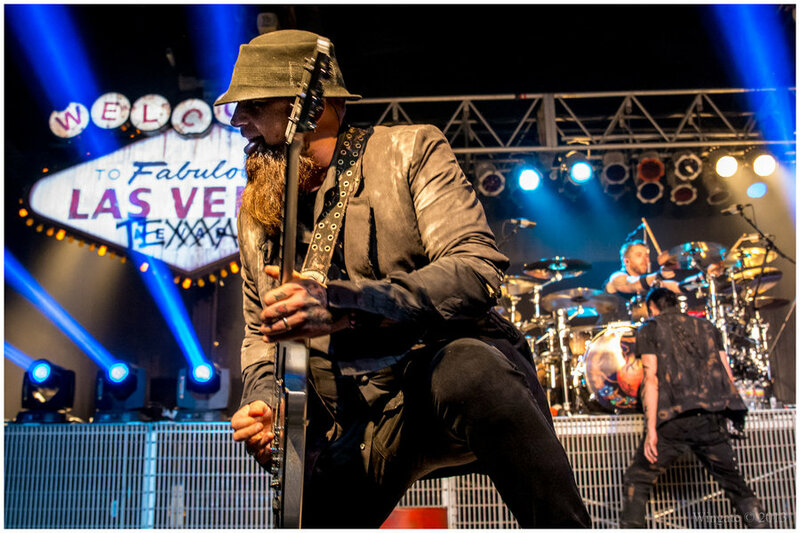 Three Days Grace commenced their 2013 tour Moline, IL along with Shinedown and P.O.D with Matt as touring lead singer. Matt was a touring member of the band up until a post went up on the band’s official website on the 28th March of 2014 confirming Matt Walst as the official lead singer of the band. Later Adam explained that he was ready to start a new chapter in his life after being in an evolving band for twenty years, it has inspired him to move on, on his own terms. Since his departure Adam begun his solo career with a series of gigs called “Adam Gontier Solo Tour” with shows on the Ink Life tour and acoustic sets in venues such as Revolver’s E-Cig Lounge in Ohio. In 2015 it was revealed that Adam had joined a new band called Saint Astonia which could be described as a rock supergroup. The members are Adam Gontier (vocalist), Mike Mushok (guitarist), Rich Beddoe (drummer) and Corey Lowery (bassist). On the 16th of May 2015 the band released their first single titled “Better Place”. Three Days Grace has a long history in the music industry and they have permanently etched their mark on rock music. I feel that the negative comments made about Matt Walst as the latest band member is unfair. I listened to My Darkest Days before Matt joined TDG and I loved their debut album. When I heard that Adam had resigned I thought that the band would never survive past their upcoming tour. I knew that Matt was a talented vocalist, but I had some doubts about how he would fit in with Three Days Grace. After hearing the new material from the band after Matt became an official member, my opinion is that the band has evolved. Their sound is fresh, aggressive and slick. Fans have to accept the fact that Adam resigned and the band was forced to continue with a new member or cancel their tour. The comparisons are inevitable, but unnecessary. Fans may have a preference, but extremely negative comments are best left unsaid. After the release of “Human” I believe that TDG are here to stay and I can’t wait to hear more! I was shocked when I learned early this morning that Adam Gontier will no longer be the lead singer for Three Days Grace, just a few weeks before their co-headlining tour with Shinedown. According to a brief post on the band’s website it was stated that Adam Gontier left the band due to a non life threatening health issue. Speculations did the rounds that Adam’s exit might be due to addiction problems that he previously had with drugs. Adam reassured his fans in a statement he made, that he was definitely still sober and ready to start a new chapter in his life. After 20 years of being a part of an ever evolving band, Adam feels that its time to move on and to continue to evolve on his own terms and in his own way. The band found out on the 21st of December that Adam wanted to resign from the band. Instead of cancelling the tour Three Days Grace felt an obligation toward their fans to put forth the best show they can. Brad Walst reached out to his brother, Matt Walst lead singer for My Darkest Days, to fill in for the tour dates that have already been announced. Matt’s role in the band is temporary and the band’s immediate future is still unknown. 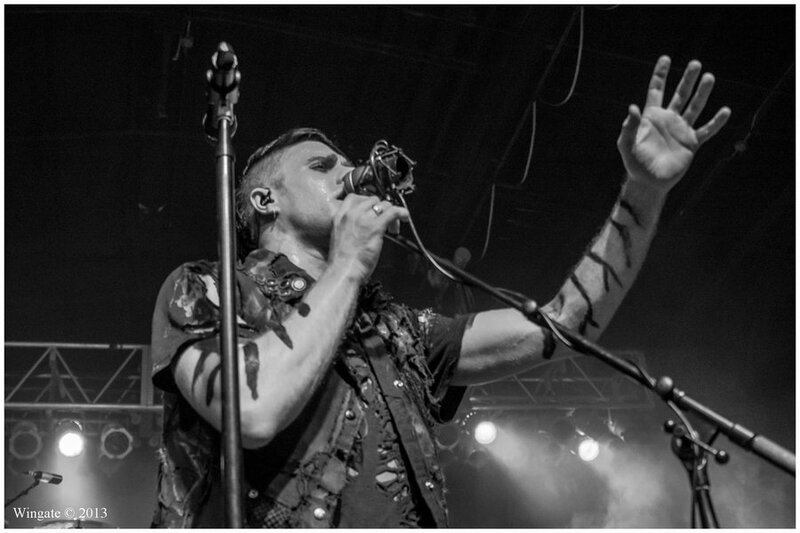 Matt Walst was indecisive after being offered the role of lead singer for Three Days Grace on their upcoming tour, but after a few sleepless nights he accepted the offer. Matt stated in a message to his fans on his Facebook page that it was his childhood dream to share a stage with his brother and that dream will now become a reality. My Darkest Days’ future was questioned when it was announced earlier this week that guitarist Sal Costa had left the band. Matt Walst assures fans that My Darkest Days are still going strong and that My Darkest Days are currently busy writing material for their third album. 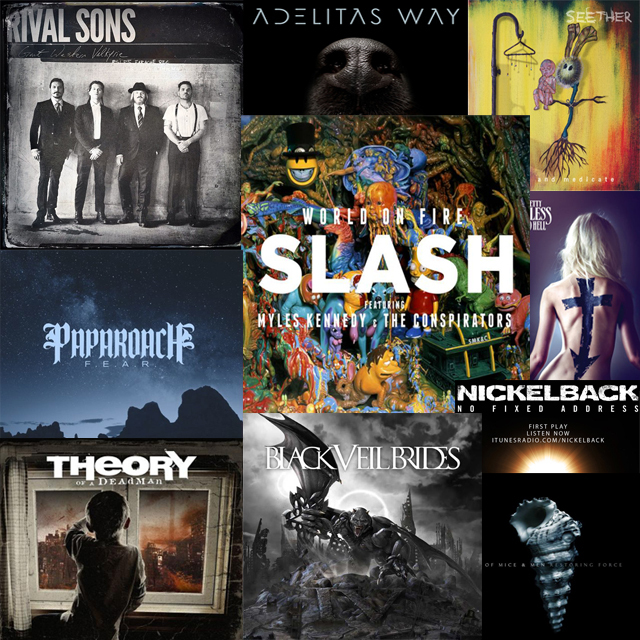 The rest of the band will continue to write music with Matt even while he is on tour with Three Days Grace. I can imagine its been quite a rollercoaster ride for everyone involved and I hope it all works out for the best. Adam Wade Gontier was born on May 25th 1978 and he is a Canadian songwriter and musician. He is the lead singer, rhythm guitarist and main songwriter for the band Three Days Grace. He is known for having a voice range which ranges from high tenor to medium low bass. When I listen to Adam’s voice I noted a few interesting techniques that he uses. He can make his voice sound real gritty and coarse (which is prevalent in rock music) whereas other times his voice sounds more distant and surreal. 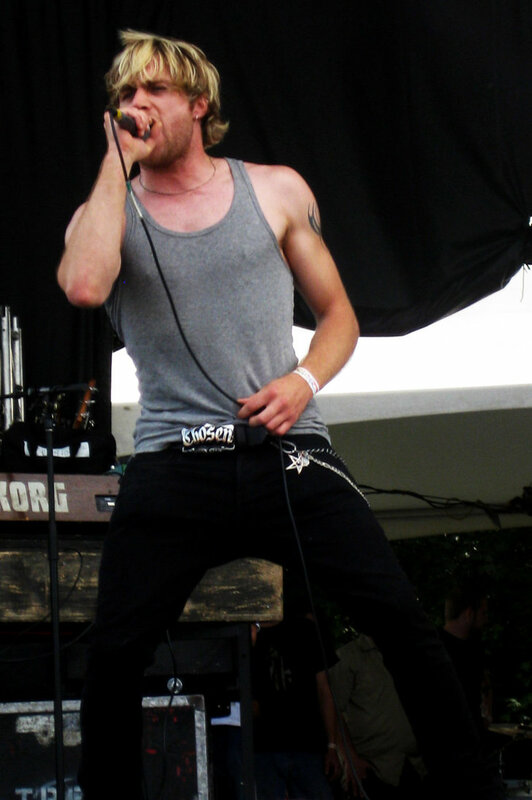 He conveys a lot of aggression and angst in his songwriting as well as in his voice. In addition to his work with Three Days Grace he has been involved in collaborations with other bands like Art of Dying and Apocalyptica. Adam was born in Peterborough, Ontario. In 1995 he moved to Norwood and he attended Norwood District High School where he met fellow bandmates Neil Sanderson and Brad Walst. They formed a band under the name Groundswell, which later evolved into Three Days Grace. Groundswell gained popularity in the local area and a few years later the band decided to move to Toronto to pursue their music career. Adam stated in an interview with George Stroumboulopoulos on October 7th, 2012 that they used to practice in the garage as a 5-piece before they decided to move to Toronto. Adam named his greatest influences as Pearl Jam, Alice In Chains, Sunny Day Real Estate, The Beatles and Jeff Buckley. When he was between 8 and 12 years old his mom, a jazz piano player, would take him along to her concerts. Adam Gontier has a large selection of tattoos. On his right forearm he has a solid black band and lyrics to his band’s song ‘Never Too Late’ from the album ‘One-X‘ and on his left arm he has a tattoo with special words made out to his grandmother. He has two tattoos on his chest and he has a tattoo of the word ‘grace’ on his knuckles of his right hand in the same font that was used on Jeff Buckley’s album Grace. He has ‘hope’ tattooed on his knuckles of his left hand. In 2007 he added a tribal tattoo to his upper right arm. On his left upper arm he has a tattoo of a picture of his wife. He has a tattoo of a butterfly on his right wrist. Adam received Jeff Buckley’s Grace album from his cousin after which he took it home, he turned off the lights and just laid down on his couch closed his eyes and listened to the record from start to finish. He was blown away by the album and Jeff’s talent, he got up off the couch and just thought that he should quit music, because he can’t top Jeff. “Gontier, Walst and Sanderson regrouped in 1997 under the name Three Days Grace. In 2003 the band recruited lead guitarist Barry Stock. Since signing to Jive Records, the band has released four albums, Three Days Grace, One-X, Life Starts Now and Transit of Venus” – Quote obtained from Wikipedia, 16th October 2012. Adam Gontier will be joining singer/songwriter Martin Sexton on his 2012 “Fall Like Rain” tour run providing opening support as a solo artist. In 2011 Adam composed a song ‘Try To Catch Up With The World” for his fans and “I Will Stay”. In 2012 Adam Gontier composed a song called ‘Lost Your Shot’. 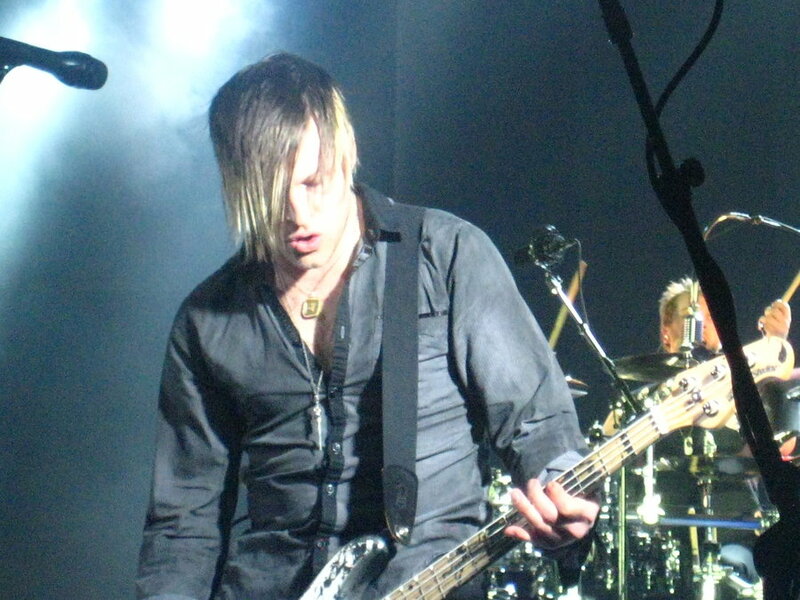 Outside of Three Days Grace Adam has contributed to vocals on “I Don’t Care” from Apocalyptica’s album Worlds Collide in 2007. He was featured on the track “Raining” by fellow Canadian band Art of Dying on their album Vices and Virtues. Adam’s cousin Cale Gontier is the bassist for Art of Dying. 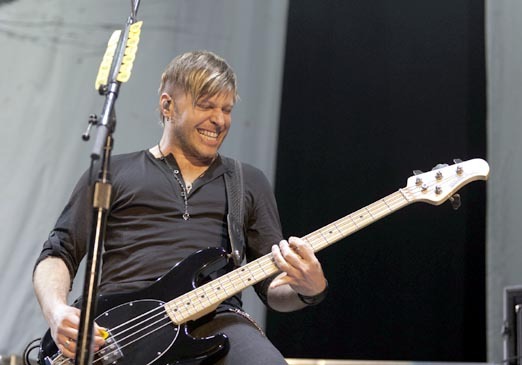 In 2006 Adam was a band member of rock supergroup Big Dirty Band along with Geddy Lee, Alex Lifeson, Jeff Burrows, Ian Thornley and Care Failure. In 2011 Adam Gontier founded Sludge Factory Records and he has signed one local band called Before The Curtain. In 2005 Adam went in for rehabilitation for his addiction to OxyContin at the Centre for Addiction and Mental Health in Toronto where he wrote many of the songs for One-X including Pain, Animal I Have Become, Over and Over and Gone Forever. He is still sober and a docu-drama about his addiction was released in 2007. Adam turned to music partly to escape the suffocating confines of a small town, but then his band’s big-time success led the singer into a different psychological trap. After 2 years of touring in support of their debut album Gontier’s drug dependence was so alarming to friends and family that he decided to check himself into a rehab facility. Adam didn’t start taking pain killers because he had any pain, he was introduced to them. After using them a few times Adam started to become dependent on them. Gontier spent about 10 days at (CAMH). This was followed by another 20 days of outpatient visits and 3 months of daily visits to Narcotics Anonymous Meetings. Most of Three Days Grace’s debut album including ‘I Hate Everything About You’ was a response to the limitations of a small-town life, whereas One-X serves as a document for Adam’s battle with addiction. As a songwriter Adam has always been inclined to write dark content for his songs with underlying themes like despair, hopelessness, anger and aggression. This might stem from the fact that when Adam first picked up a guitar he was influenced by bands like Nirvana and Pearl Jam. He uses music as an outlet for his emotions and although he has written the odd upbeat song, he normally feels the need to write when he is feeling down. With the release of their latest album Transit of Venus on October 2nd 2012 Adam has been speaking to the media about evolving as band and introducing some electronics to their music which they haven’t done before. This includes synth sounds, piano parts and keyboard parts. Adam says that they approached the recording process for the album differently than they had before. They used to complete the songs and then just get in the studio and start recording whereas now about a quarter of a song was done and they completed it in the studio. Some songs didn’t have any structure/formula before they went into the studio for example the song ‘Give Me A Season’. Their producer Don Gilmore told them to just get out on the floor and see what happens. Adam really wants to use the same method of recording for an album in the future. Three Days Grace actually hired a guy to play all the keyboard and synth parts during the live show which means there will be 5 guys on stage now. They made this decision because they are against using tracks during live shows. Despite their success Three Days Grace has remained fairly anonymous in public. They really appreciate the fact that they can walk down the street and not be recognized. All in all I think Adam Gontier is a guy with loads of talent, he has a sensitive soul and all the feelings he kept pent up inside over the years is being released through his music. I look forward to hearing more great music from him and his band.